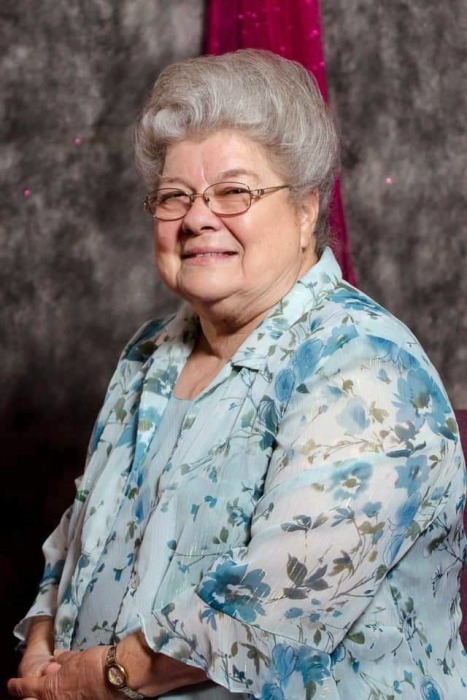 Kay H. Clark, 78, of Washington passed away Monday January 21, 2019 at her residence. She was born on March 4, 1940 in Dwight, IL the daughter of the late Adolph and Beatrice Davy Rosenak. She married Robert O. Clark on May 7, 1959, he passed away on February 17, 2011. Surviving are three daughters Krista (Mike) Owsley of Washington; Leah Clark of Sugar Land, TX and Trina Clark-Ulrich of Madison, AL. Also surviving are four grandchildren, 6 great grandchildren; one brother Paul Rosenak of Valrico, FL along with a host of nieces, nephews and cousins. Kay loved worshipping the Lord and volunteered at Lydia’s Pantry all at Christian Life Church of Creve Coeur. She was very giving of her time always helping others in need. Services will be 6:00pm, Tuesday, January 29, 2019 at Mason-White Funeral Home, 20 Valley Forge Rd in Washington where visitation will be two priors to her service also at the funeral home. Pastor Ron Talbot and her grandson Pastor Jason Clark will officiate. Cremation will follow her service and inurnment of her remains will be at a later date in Springdale Cemetery in Peoria. In lieu of flowers, memorials in her name may be given to Christian Life Church, 133 S. Highland Creve Coeur, IL 61610. To share a memory or send a condolence for her family, visit www.masonfuneralhomes.